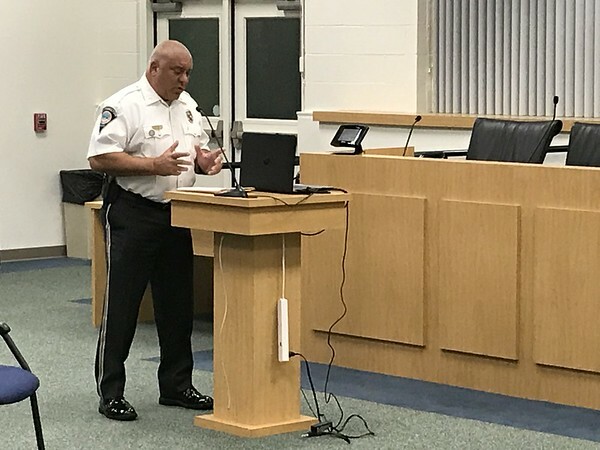 SOUTHINGTON - The Town Council held a public hearing Monday on a proposed ordinance that would penalize owners of properties that generate large numbers of calls for emergency services. No action on the proposal was taken at the council meeting that followed the hearing, but Chairman Chris Palmieri said the council may vote on it at its next meeting. Town Attorney Carolyn Futtner said that the council has been working for some time on the change in city policy. Futtner said calls reporting crime, domestic violence and emergency medical issues would not count toward the limit. Palmieri explained that the person making the calls would not be fined. Rather, the establishment where the reported incidents occur would be held responsible. Deputy Police Chief Bill Palmieri said police will meet with property owners to determine why so many calls are being made. “Ninety-nine percent of calls won’t fall under this ordinance,” he said. The discussion of excessive police calls was brought on by residents of Birchcrest Drive, who have been complaining for years of disruptions they blame on the Bridge Family Center, which cares for teenage girls taken out of abusive situations. Melissa Hallgren, another Birchcrest Drive resident, remarked that “$250 is nothing to them” but thanked the council for their efforts. Resident Roseanne Conti said the ordinance won’t help anybody. Also at Monday’s meeting, Councilor John Barry, who chairs the Public Works Committee, announced that Weston & Sampson of Rocky Hill has been recommended as the contractor for road safety improvements in Plantsville. It won the job with a $150,000 bid. The town received a state grant to do this work. Town leaders have previously said that the improvements will include creating a municipal parking lot and improving an intersection. Palmieri later announced that Hartford HealthCare representatives would address the council at an October meeting instead of later this month. He said Town Manager Mark Sciota would be away on a conference at the September meeting and the council wanted him present for the discussion. Posted in New Britain Herald, Southington Herald on Wednesday, 12 September 2018 20:29. Updated: Wednesday, 12 September 2018 20:32.